I am working with some friends trying to multiplex. The issue we run into is we aren't sure if we are hitting a limit on transistor switching speeds. Here's an example of what we have built. If we just disconnect the ghosted row from its output, it stays ghosted. Somehow it is being tied to our other output. I would be inclined to say that it is a software bug but since the issue still exists with the output disconnected I am unsure. Some overlap between updating the row and column drivers, e.g. on different ports, written in different cycles. This has a simple software fix : (a) turn off all rows (b) update columns (c) turn on correct row. Alternatively, turn off all columns, update row, turn on appropriate columns. 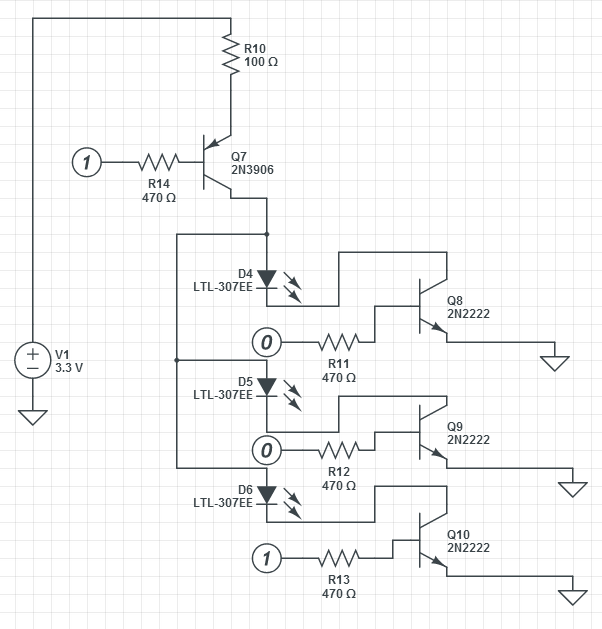 Switching delay in turning transistors off. Q8,9,10 in the given circuit will saturate, which makes their turn off time slow. My answer to this question describes this phenomenon : the question itself describes a hardware fix to the problem (a schottky diode between base and collector). However a simpler answer is to wait through the "dead time" in software, as suggested in the comment above. Obviously times t1 and t2 can be tuned for best visual experience. Not the answer you're looking for? Browse other questions tagged bjt multiplexer or ask your own question. How fast can a Transistor Switch? 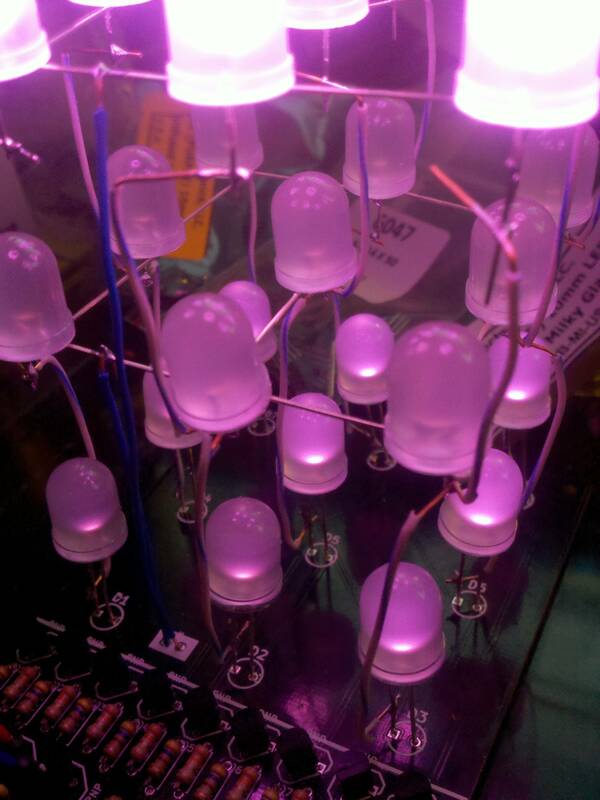 Are these LEDs glowing due to leakage current? How to prevent it? Why is there a delay in a common anode 7-segment display?